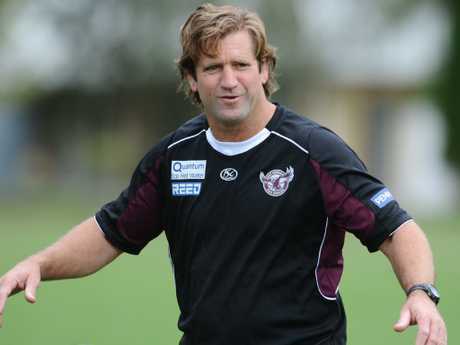 MANLY is set to go into the past for its next coach, with two-time premiership winning coach Des Hasler reportedly returning to the club. Channel 9 News' Danny Weidler said the club was on the verge of signing Hasler to "a long-term deal to try and resurrect the troubled club". Weidler said Hasler's manager, George Mimis, had been in deep negotiations for Hasler to go the Sea Eagles as soon as next year. Hasler has also reportedly been asking potential staff members to stay free from other clubs so they can join him at Manly next year. Weidler said the deal could be signed as early as next week, with Manly still to work out an exit deal for Trent Barrett, who gave the club the required 12 months' notice in July. Hasler reportedly had issues with the owners of the Sea Eagles, the Penn family, but these are believed to have been worked out. 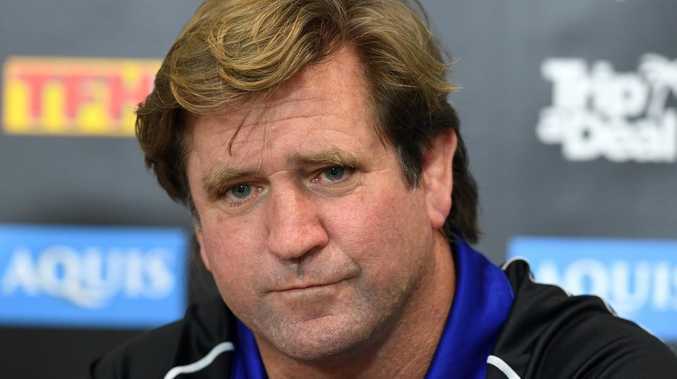 Des Hasler knows what it takes to win a premiership. It's been a long process for the Sea Eagles with plenty of potential coaches being thrown up as possibilities for the club. Channel 7 reported on Thursday night that captain Daly Cherry-Evans would seek a release from the club if Neil Henry was appointed Sea Eagles coach. Henry appeared on the short list with John Cartwright, Jason Taylor and Hasler. Taylor ruled himself out of the running, committing to taking over Sydney Roosters feeder side the North Sydney Bears in the NSW Cup. Club legend Geoff Toovey revealed on Triple M's The Grill Team on Friday morning he hadn't even heard from the club. "I've been in touch with a lot of fans and sponsors, they're not really happy with what is going on down there. But not the club, officially no," he said. "I'm overwhelmed by the support I've been getting (from fans and media). "Unfortunately they don't make the decisions the club, other people do. My fear for the club is it may just disappear off the face of the map, which frightens me. We need to make some changes and we need to make them soon." Toovey admitted there were plenty of issues at Manly, especially after just narrowly avoiding the first wooden spoon in the club's history. "I don't think it's the coaching position, it's about the whole structure of the club at the moment," he said. "They have to look at why they're in this position to start with, the turnover of football and administration staff. It goes deeper than just the coach."